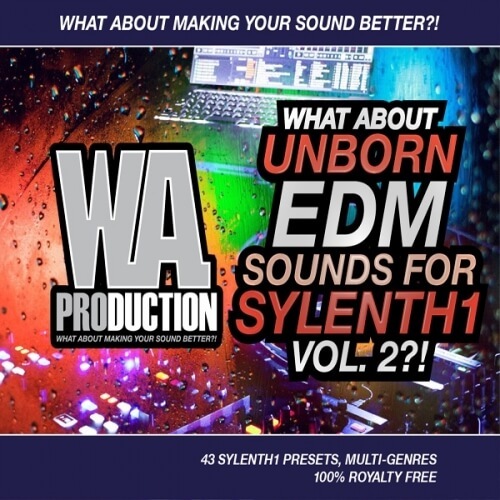 ‘What About: Unborn EDM Sounds 2 for Sylenth1’ is back with totally new and kicking sounds for every EDM, Progressive and House producer. Massive leads, fat basses, huge super plucks (extremely effective in drops) and melodic plucks are included. You’ll find 43 strongs sounds, which have not yet seen the light of the music scene and are ready for rocking the club. What about having the fattest drops and sharpest melodies right from your Sylenth1 without any additional synths? Sylenth1 version 2.2.1 is required for this soundset.